The weekend after Meredith's birthday, we were in Oakville and were taken out for dinner. I looked the place up on Urban Spoon before we left and wasn't sure about it when I saw a dish marketed as "Moroccan chicken supreme," that included "balsamic paint." It seemed like a bit much, so I was apprehensive. 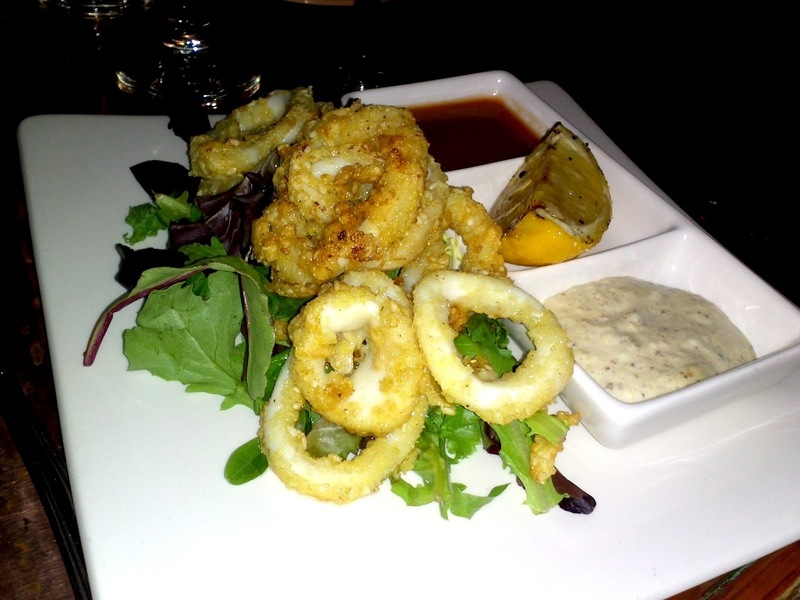 But the reality is that Paradiso is a Mediterranean restaurant in downtown Oakville that looks like it's the place to be. The wait staff are great and when we got there we were given a detailed explanation of the menu - the specials, what was popular, etc. It was a little dark inside, so the photos I took don't do the dishes justice. 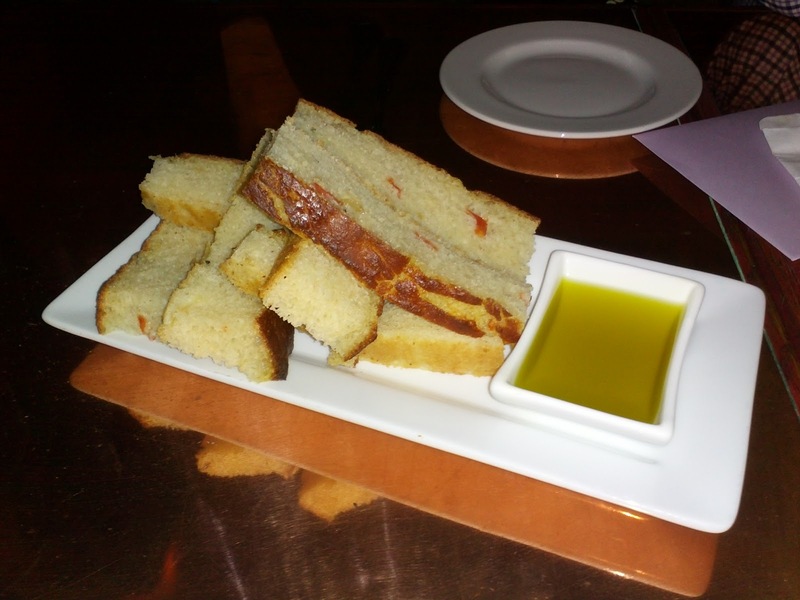 When our drink orders were taken, we were served some freshly-baked bread with olive oil. It was moist and flavourful. Meredith started with the sesame cornmeal crusted calamari served with horseradish cocktail sauce, toasted seed and cucumber aioli and grilled lemon. I wasn't sure what the grilled lemon was about, however, it did look good. 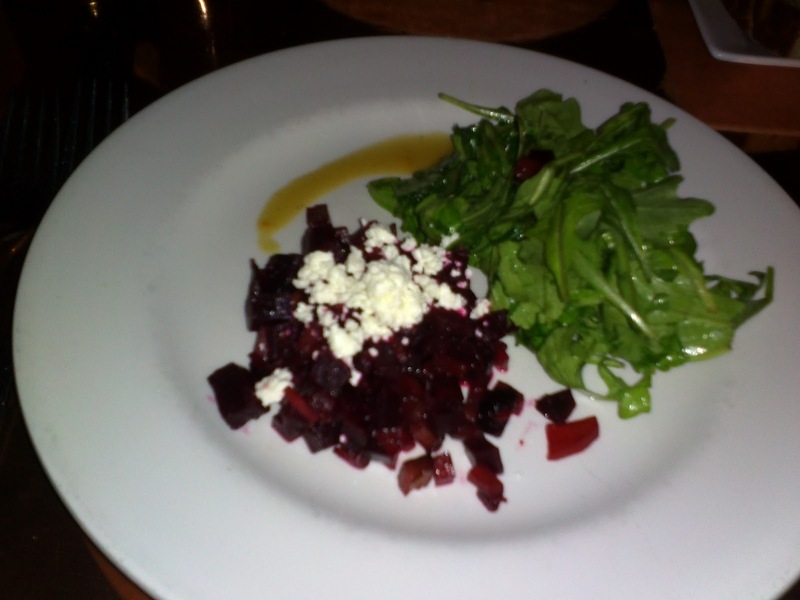 I started with the honey roasted beet and goat cheese salad. It was very tasty - the beets were sweet and the cheese really complimented the sweetness. For my main, I had the twelve-hour braised wild boar gnocci. 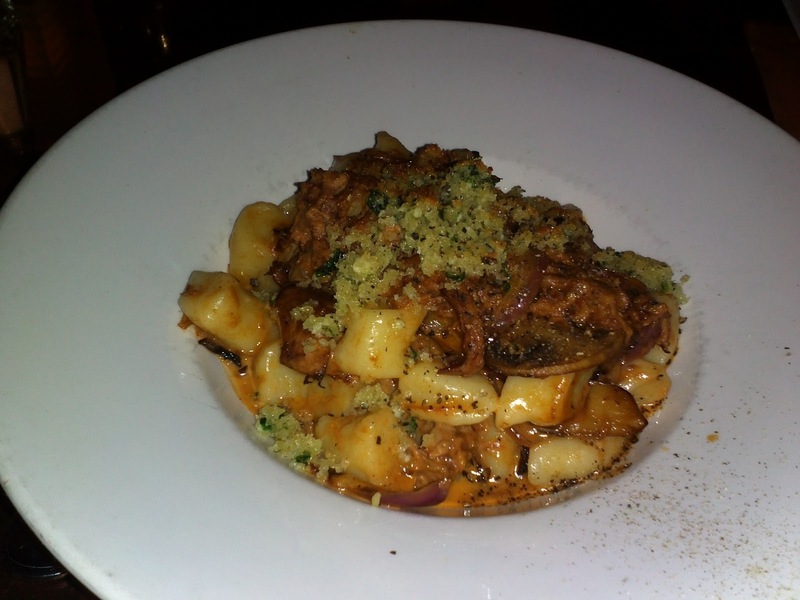 The gnocci was hand-rolled and very soft, not dry at all, and served with the shredded boar meat, in a cream sauce with a "truffle scented pecorino crust." The crust wasn't anything to write home about - is was a little salty, however, it didn't take away from the pork and gnocci - it was excellent. 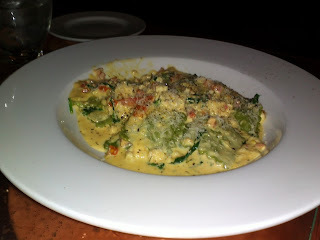 Meredith's main was a crab ravioli in a dill and cilantro cream sauce. It was very tasty. 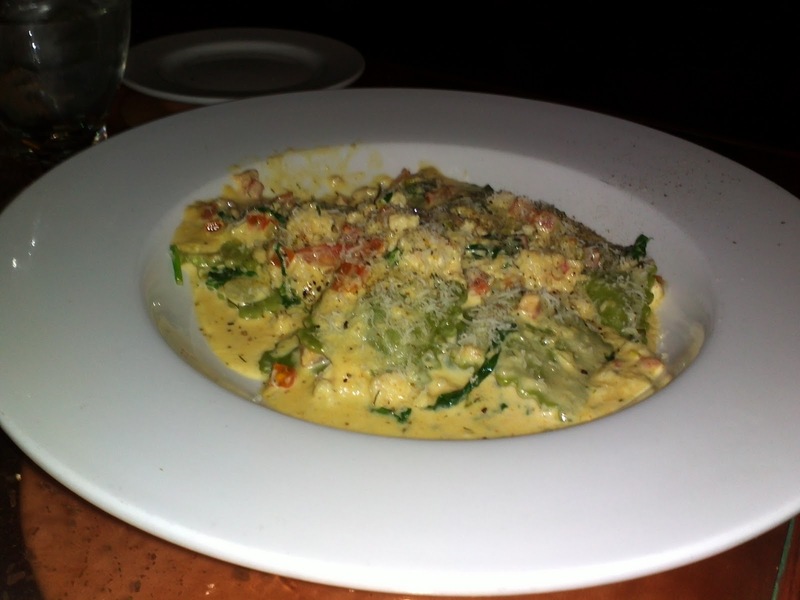 The ravioli was so good that Meredith finished eating before I did, even with a great deal of dinner conversation. 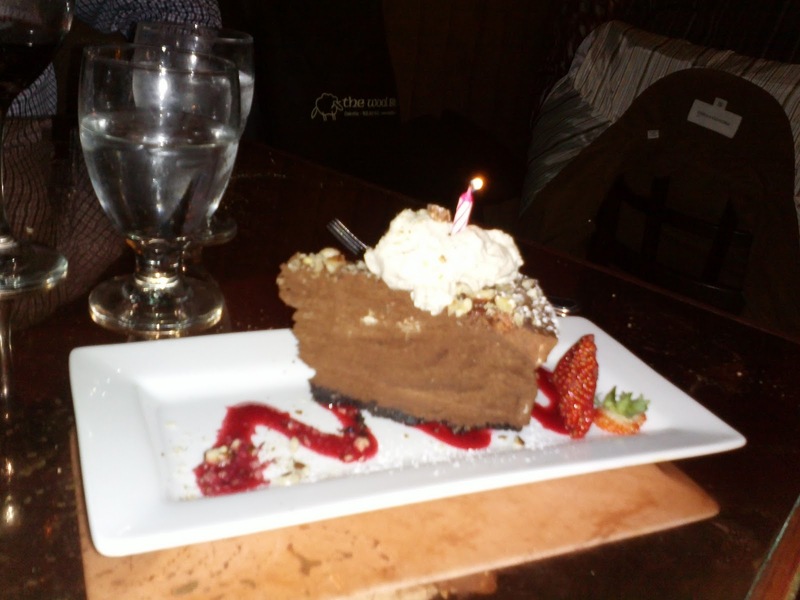 Meredith was also given a chocolate torte for a birthday dessert. It was very, very, rich. Solid chocolate, crusted with nuts and topped with cream. It was a serious dessert. Not for kids. Overall, I'd go back. The food was great and so was the atmosphere. I just won't order the Moroccan chicken. I've seen the grilled lemon with calamari at some restaurant too :) And if you think grilled lemon is weird - I have also seen a grilled avocado!